Thanksgiving is one of the biggest cooking days of the year for many families in America. This special meal takes a lot of planning, prepping, actual cooking and serving. While most call it a holiday, it turns out to be a day filled with hard work for the cooks in the family. Luckily, no one needs to do it all, and most importantly, they don’t need to do it alone. 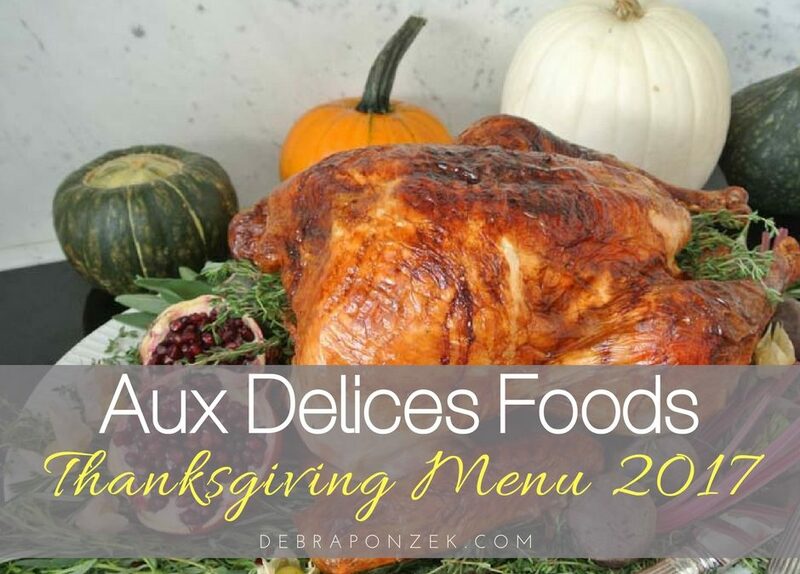 Aux Delices Thanksgiving Menu 2017 has all of the fixings people want and need for the perfect Thanksgiving meal. Our Aux Delices Thanksgiving Menu for 2017 is filled with delicious dishes to make your holiday meal the best it can be! 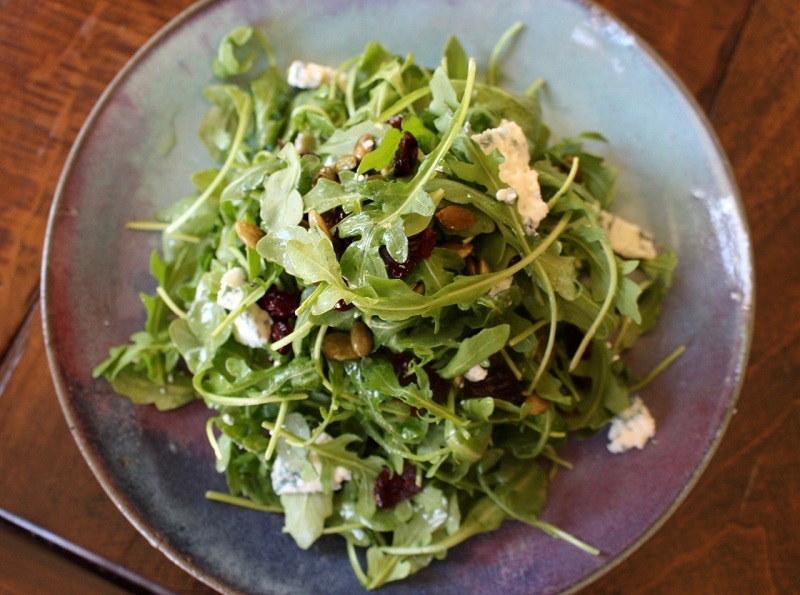 Starters are important to every meal, no matter the day. 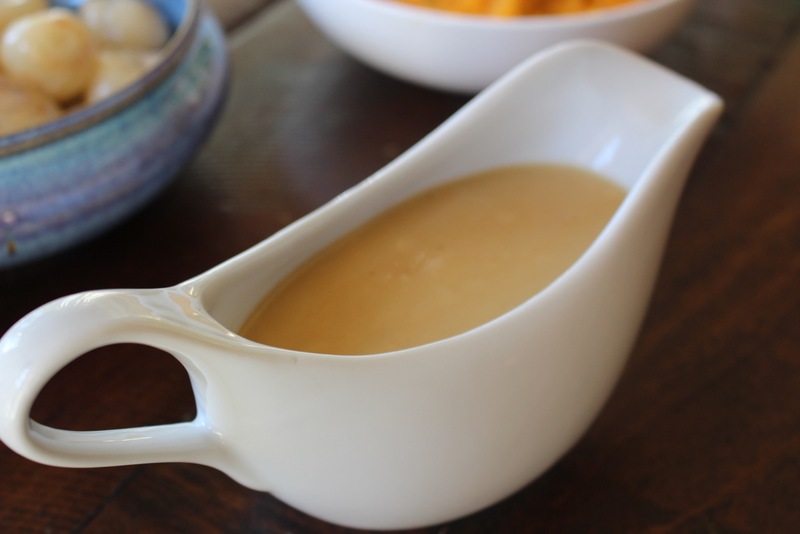 On Thanksgiving, the importance of soups and hor d’oeuvres are even heavier. These options will help keep people happy while they wait for the big meal to be served. Aux Delices has roasted fall squash soup with sage and baby arugula salad to start. For the more savory of hor d’oeuvres, coconut crusted shrimp, mini crab cakes, guacamole, fall vegetable crudite basket, baked brie en croute, pigs in a blanket, and the popular jumbo shrimp cocktail. 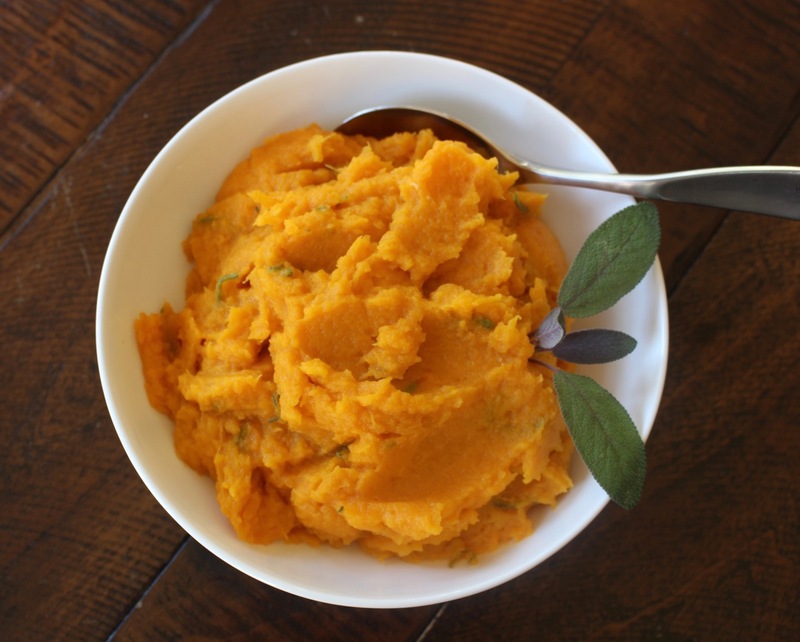 Side dishes are very important in making the best Thanksgiving meal ever. However, not everyone has the time or willpower to put together some of the most basic of sides, let alone some of the more complicated ones. Luckily, Aux Delices is serving up mashed potatoes, turkey gravy, creamed spinach, butternut squash mash, potato gratin, and haricots verts. When it comes to stuffing, people may choose from the Aux Delices Stuffing which is made with brioche, sausage, sage, stock, celery, onions, and dried cranberries. The other option is the vegetarian cornbread stuffing with cornbread, whole wheat, apples, leeks, and pecans. Some more veggie goodness can be found in the brussels sprouts, sweet creamed onions, fresh cranberry, orange, and port relish and a pan of cornbread. All of which would make great Thanksgiving side dishes. The meat is the most famous aspect of a Thanksgiving meal but can differ from family to family. Aux Delices has the turkey you’ve been searching for in options from 10 pounds to over 20 pounds from Goffle Rd Poultry Farms. Each size has a different serving recommendation. Each turkey is raw and ready to roast so no need to worry about defrosting. In fact, you can even purchase a special brine to brine your turkey the night before you roast. If cooking the turkey is a fear of yours, Aux Delices has roasted whole turkeys in limited quantities that range from 14-16 pounds. Turkey isn’t the only meat that is cooked on Thanksgiving, some families prefer something a little more. On Aux Delices Thanksgiving menu for 2017, you’ll find whole spiral cut hams from Garrett Farms in upstate New York. Filet Mignon is also on the menu, in both raw and roasted options. More entrees that could be found at Aux Delices for Thanksgiving include staples that everyone would enjoy. 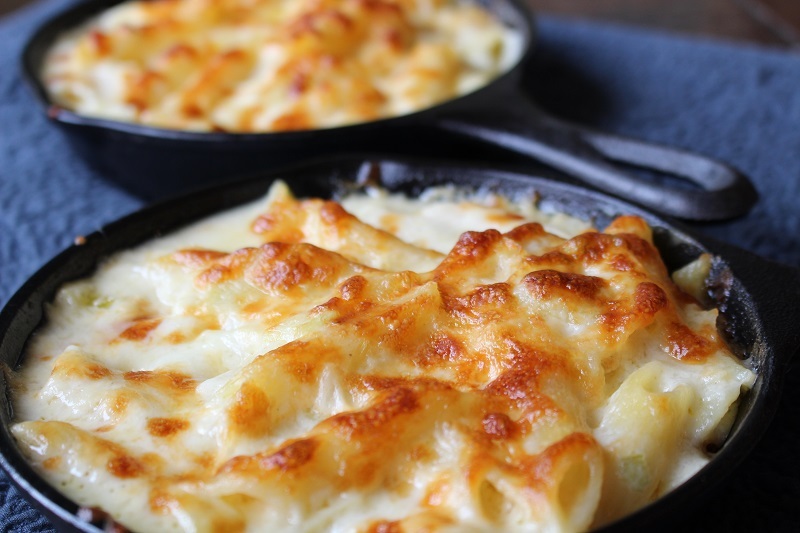 Macaroni and cheese by the pan. Each pan of macaroni and cheese serves 6-8 people. Another meat that kids will enjoy comes in the form of tenders, chicken tenders to be exact. Finally, a classic quiche lorraine that comes in an 8-inch paper shell. Each of the entrees are meant to serve multiple people and can be ordered ready for Thanksgiving. Pies and Thanksgiving go together like milk and cookies. Some of the best pies can be ordered for Thanksgiving from Aux Delices. 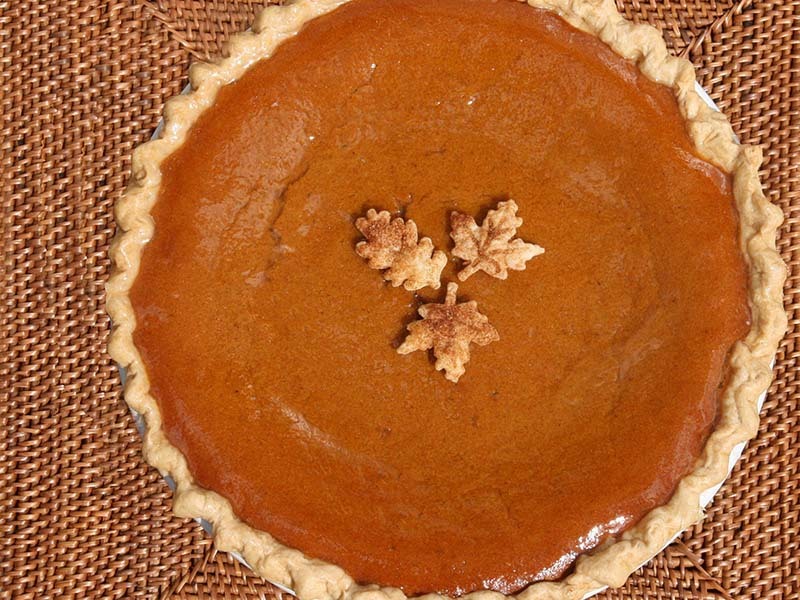 Classic pumpkin pie, double-crusted apple pie, pecan pie and even gluten-free apple pie. If a pie isn’t your speed, try the chocolate turkey cake, not made with turkey but looks like a turkey. For a more lighter dessert, assorted cookies, mini cinnamon baked doughnuts, pumpkin tea bread are all available. Lastly, order house-made whipped cream to top your favorites, whichever they may be.